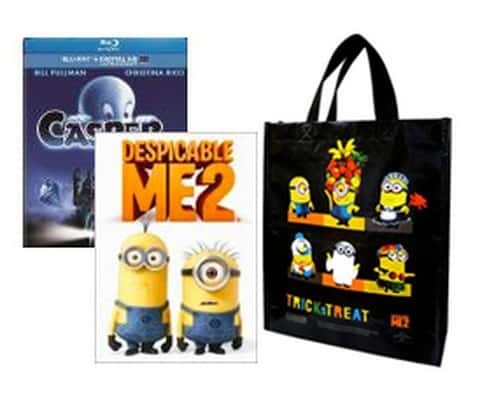 Free Despicable Me Minion Trick or Treat Bag With DVD or Blu-Ray Purchase (Prices as low as $4.99)! For a limited time at BestBuy.com, you can get a Free Despicable Me Minion Trick or Treat Bag when you buy a select movie on DVD or Blu-ray. Prices for the select movies start at just $4.99, so this is a great deal! Trick or treat with your favorite minions using this Halloween bag. Then enjoy your sweets at home while you watch one of these popular family movies. Select a movie HERE. . Select the trick or treat bag HERE. Then check out as normal. Shipping charges may apply. Don't miss this fun deal!